I do not post food blogs. Today an exception must be made. Why? Last week my good friend Kyle invited me to spend 4th of July at a beach house in Bayside, TX. What better way to spend Independence Day than at the coast with my old partner in crime. Well Kyle and I have fallen in love with drinking Old Fashions with much inspiration coming from Don Draper from the AMC show Mad Men. It is a gentleman’s drink that truly makes you feel successful; well that’s what I tell myself… Kyle moved to Abilene a while back, so we rarely get to see each other. Knowing that we would spend plenty of time on the deck of the beach house sipping old fashions and talking about life, I wanted to make a special bourbon. 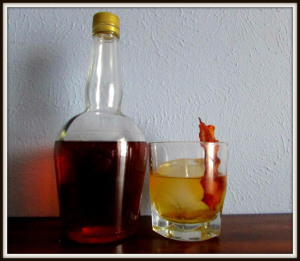 Maple bacon infused came to mind, and boy was it a success! ← When Is The Unforgivable, Forgivable? Definitely worth breaking your no food blog rule!